In a statement sent to DAILY POST, Buhari said the order demanded that the CJN be suspended pending the determination of his ongoing trial at the tribunal. Reacting, Kanu said Onnoghenâ€™s suspension should unite those who believed in the struggle for the actualisation of Biafra. 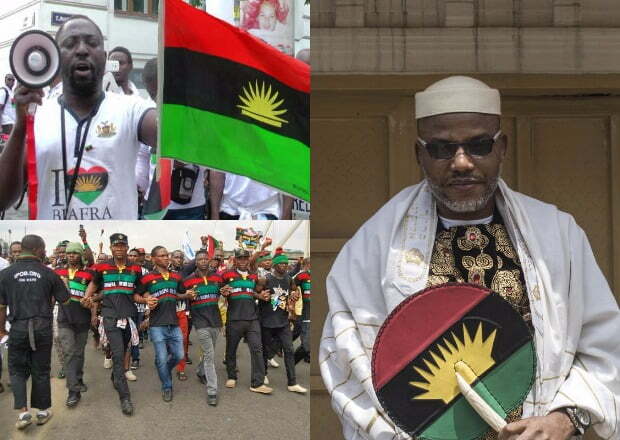 In a tweet, Kanu wrote: â€œI am back in the UK to continue our excellent work to liberate #Biafra from the pit of darkness, Nigeria. â€œFulani cabal with their herdsmen, ISIS and Boko Haram must not be allowed to conquer us.